Hey Everyone! I'm so excited to be part of the Whimsie Doodles team this month as Guest Artist! Today starts the new monthly challenge... a fun sketch created by Laura! I chose to play with one of the new digis available in the shop now. 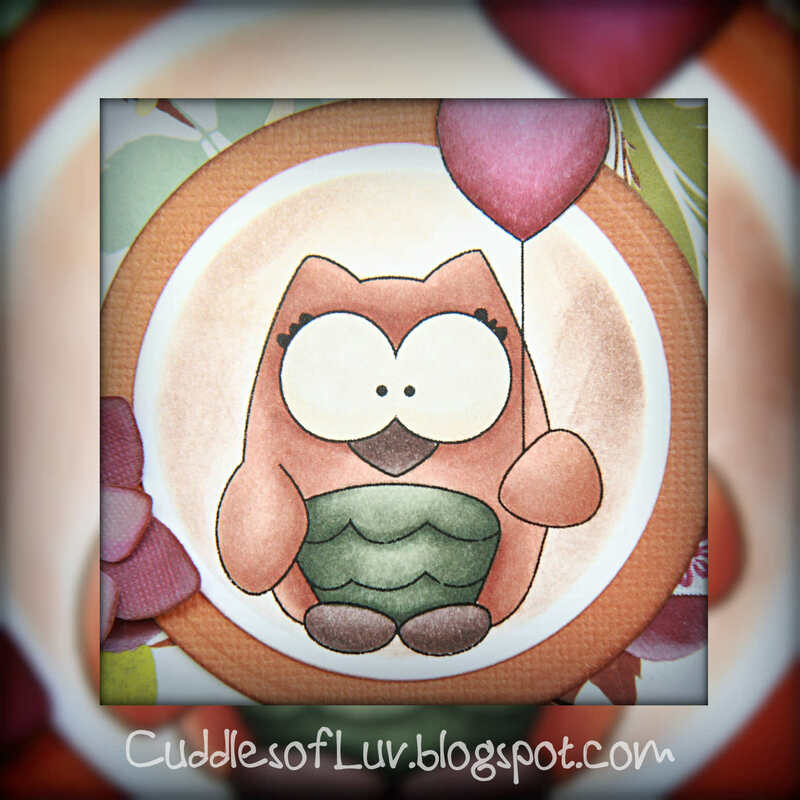 This adorable owl is part of the Valentine Gift Tags. Colored it up with Copics, and cut out with Spellbinders Standard Circle Large dies. 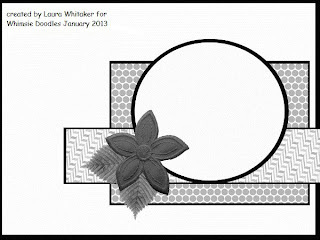 Used the CC Designs Phlox Flower die to make a layered flower, and added a button with twine. The background paper is from MME So Sophie, and the leaf dp is MMBI Autumn Layers. 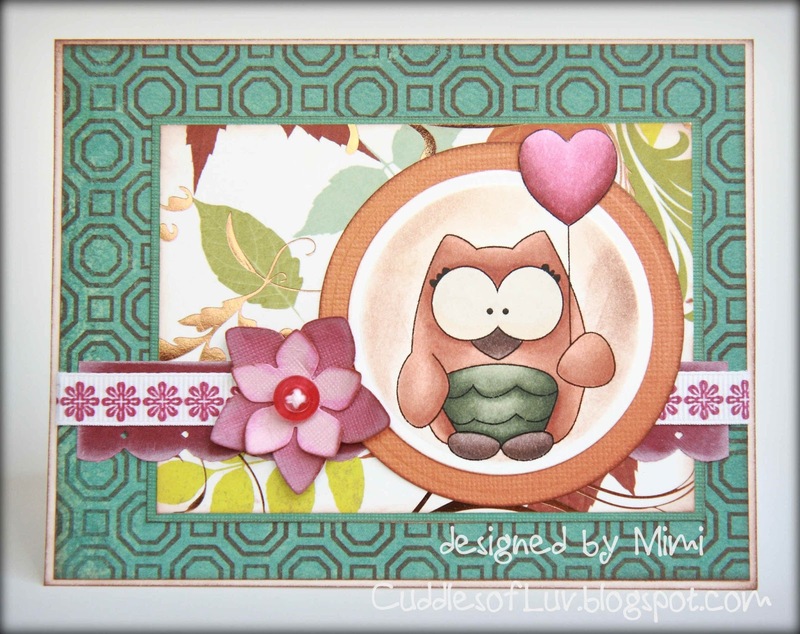 now it's time to stop by the Whimsie Doodles blog to see all the details of the current challenge, and the wonderful creations from the ladies! Don't forget to visit the store to see all the new digis.... so many adorable ones! So fun! Love your coloring and congrats on the guest artist! Have a great weekend! 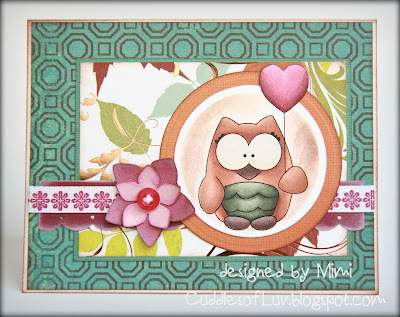 Such a sweet card, loving your colouring and your papers! I'm a big owl fan and this little guy is adorable. :-) Thanks so much for joining us this week at TSG! that is a really cute owl. fun card! !